Maximum bloggers and webmasters says that good SEO and good Usability is the same thing but my own experience and other web experts have already agreed that both are different things.There is no doubt that SEO and usability have two completely different goals.The goal of SEO is to rank highly in search engines for specific keywords,and the goal of usability is to make the online experience as user-friendly as possible. It is seen that SEO friendly pages were usually filled with text links and keywords,making the webpage virtually impossible to use.How ever with the changes to the way Google indexes pages,good SEO and good usability can live side by side.These days,it is all about defining goals,and striking the perfect balance.Good SEO is invaluable to achieving online success.Most of web experts express that before investing time and penny in SEO works,webmaster and blogger must take a step on good usability .Normally we can say that SEO and usability are like head & tail of a coin.So,if you want sound benefits from search engine optimization then must to do good usability for getting the most beneficial effects.Here is the 8 Critical factors of SEO & Usability for professional bloggers. It is better to stay in single niche when creating content,stick to one topic for each page or post which can generate targeted readers or visitors.Various topics surely confuse readers and leads to poorer performance & relevancy.Defining your audience will help validate your design, branding and marketing of any type website or blog.Research is must necessary with proper manner or throughly. Stronger keywords is one of the best way to get noticed by search engine if it is used in the first sentence.Manage your sentence in such a way as to help spiders establish a relationship between keywords.competitor’s keywords strategy will enlighten and inspire you.However,there is a noticeable and awkward recurrence of the keywords,then you need to modify the post or the webpage. One of the most important area to strike a perfect balance between SEO and usability.The title tag is the most important on page factor for search engine indexing.But it is also the first thing the user sees.Obviously, headers are secondary to titles,but are still important.A good title/headline tag focuses on 1-2 keyword themes,nothing more.Headers and titles should be an extension of your keyword themes,reinforcing them.Every page of your website should have a different title. This makes both good SEO and good usability. Providing sitemap is one of the advanced trail to inform the search engine spiders.A simple way to achieve this is by supplying a text-based sitemap with a link to every page on your site that you want the spiders to crawl.This is especially beneficial if your site is relatively new and has few inbound links.Sitemaps are of benefit as well to websites that have a large volume of content pages that are not linked to each other. Due to privacy reasons,learn to use'robots.txt' files to instruct spiders to stay away from such content. 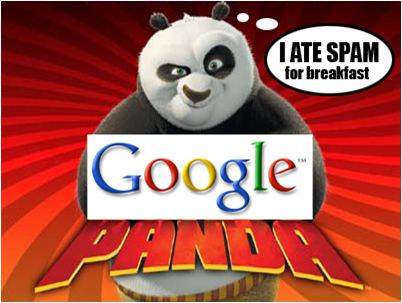 Creating content it must remember that landing or home page must reduce the number of out bond links.These days,this is both bad usability and SEO.The Google-bot is now able to differentiate between genuine webpages and pages used to spamdex. When creating internal links,it is important to strike a balance between relevant keywords and good communication.Make sure blog post or web page internal links are relevant and URL must be search-engine-friendly.Use two to three relevant keywords in your URL.In general,simple,easy to remember URLs without too much punctuation are the way to good SEO & usability. A well thought-out structure with the relevant names/titles/subdomains will help both usability and SEO.An internal linking structure that links to your most important pages should also be considered.Consider a bread-crumb navigational menu for both good SEO and usability. Normally,spiders look at the page title after the url.When composing titles,use two or three strong keywords that tell the topic of the page and that you want to rank for.Your title is also what is shown to searchers in search engine results pages(SERP).Google shows up to 70 characters of a page title in their results page.Be sure to make each page title unique,even if topics may be similar. This avoids confusion,if you plan on spending a considerable amount of time and effort towards ranking your own website or blog, then it is always worthwhile investing in a SEO training course.This will see you really maximize your efforts on focus of targeted website or blog. Thanks for sharing these great tips about search engine optimization. Yet another method of improving our SEO is to build quality external links and build a chain of interlinking between your blog's posts or articles.
" Search engine friendly url " is the most important point of this article.